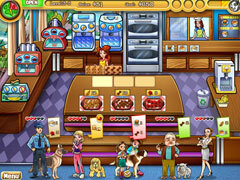 Dish up gourmet doggie delicacies! Jessica's looking to expand her cupcake shop by dishing up premium pet treats! Get her Bow-Wow Bistro booming by baking yummy delights for pets and their owners. 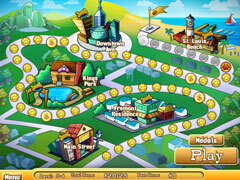 Dazzle guests with decadent decor and a kitschy kitchen where culinary creations appease the palates of people and pets. 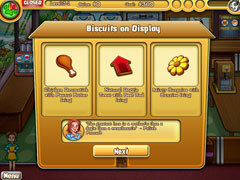 Master your time management skills and fetch lots of cash to earn upgrades and expand your shops. 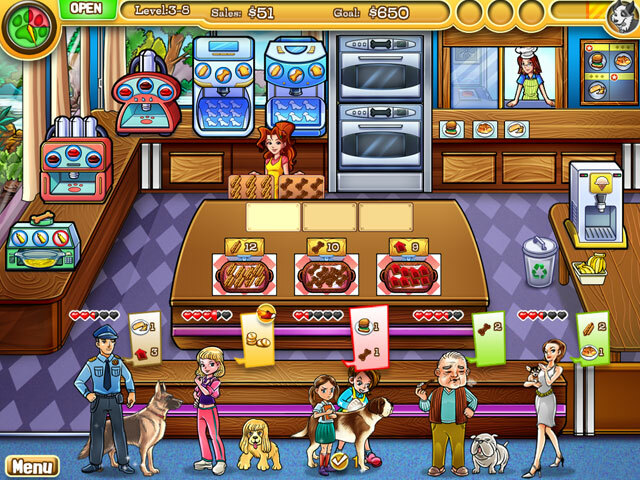 Create a menu of healthy, tasty treats to achieve big rewards in this "off-the-leash" time management game.